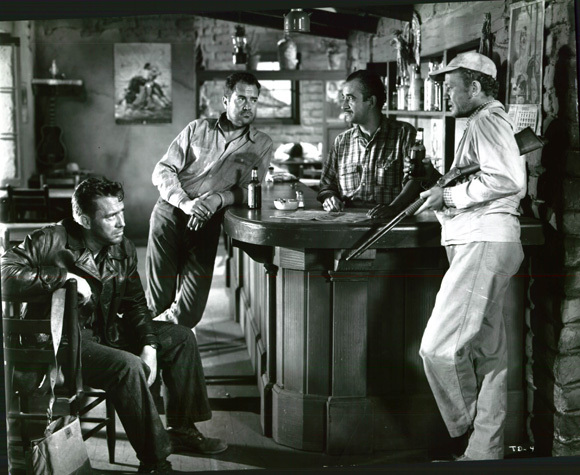 This entry was posted in 1950's, Film Noir, Film Reviews, Ida Lupino and tagged Edmond O'Brien, Film Noir, Frank Lovejoy, Ida Lupino, The Hitch-hiker, William Talman. This is a taut, and exceedingly tense picture that exhibits all the qualities you exhaustively present here is this first post-Christmas review. And a great choice! Musuraca’s camerawork again is superlative, and that’s a daring statement there that Lupino stands next to Ray and Fuller, but one I seriously can’t contest. Excellent embellishment there about RIDERS ON THE STORM being based on Cook’s story, which by the way you have provided some interesting information on, and yes that correlation with NIGHT OF THE HUNTER does come into play. Tallman was well remembered as the D.A. on PERRY MASON. This is really a terrific review of a film that certainly deserves the highest praise. Sam, I remember Talam well from the Perry Mason series, never won a case going up against Perry(ha!). He was also memorable in Armored Car Robbery. John, this was wonderfully informative. I’ve seen the film but knew nothing about its real-life background or the Night of the Hunter tie-in. 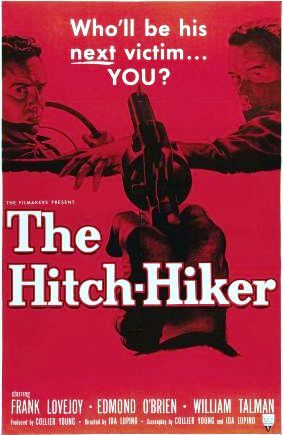 Lupino’s fascination with the Cook story marks the Hitch-Hiker as a profoundly individual work that transcends any speculation on a woman’s touch applied to a noir subject. And as an Edmond O’Brien film from the noir era it’s almost automatically good. Thanks Samuel! Certainly agree with your O’Brien statement. I agree with Sam and Samuel, this is an excellent write up with John’s usual outstanding analysis and historical background. I have had this movie for a long time, but only watched it for the first time about a month or two ago. I don’t think I’m giving too much away in saying that this one is definitely going to be in the noir countdown. I won’t say where in the countdown, but it is definitely a taut noir thriller and proves that skillful direction and writing can make ordinarily mundan situations come off as incredibly intense. thanks Dave, I figured this would make an appearance in your countdown. looking forward to it. I haven’t seen this one, but it sounds good – I’d like to see more of Lupino’s work, and also more of O’Brien. I think you would like this Judy and yes O’Brien has appeared in many good film noirs, The Killers and D.O.A. to name two. John, a really great post. I saw this a couple of weeks ago and was quite impressed. As you write, it’s a tight, lean, noirish little psychological thriller that keeps the emphasis on the mind games between the amazing Talman and his two hostages (cool Lovejoy and hot-headed O’Brien). Loved the photography. 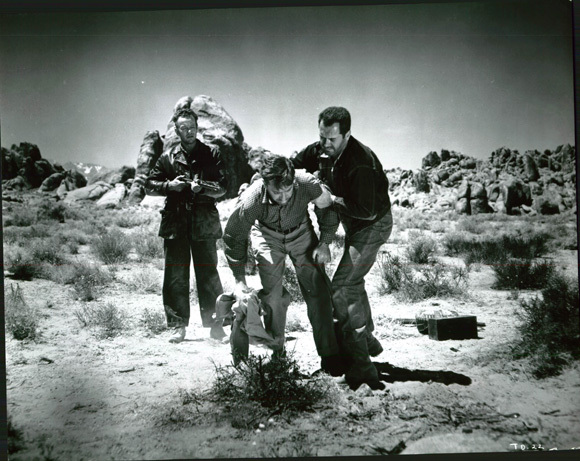 I bet Lupino learned a thing or two from Nicholas Ray while making “On Dangerous Ground” (I’ve read she directed a few scenes of this) about the potency of contrast between enclosed spaces like the car and wide-open spaces like the desert. The background on the true story behind the movie was fascinating, well-researched, and completely new to me! I remember Talman well as the hapless Hamilton Burger on “Perry Mason,” but does anyone recall those chilling PSAs he made on the dangers of smoking and lung cancer in the 60s? Thanks very much R.D. 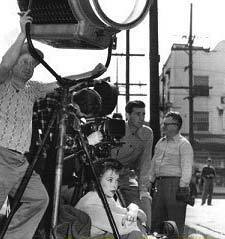 – I get the impression, from what I have read, that Lupino was an astute student of many of the filmmakers she worked with. Yes, I heard the same thing about her directing a few scenes of “On Dangerous Ground.” She also directed a few scenes of Beware, My Lovely” when the director’s wife was ill and he was unavailable. Yeah, poor Ham Burger, not only stuck with an easy pun for a name but he never could win a case against Perry. A great review John, though I liked The Hitchhiker less than you. It is still a solid b-noir which starts out well, but fails to develop sufficient tension and (like you) I found the ending flat. Lupino’s direction is adequate, but the strong opening noir-lit scenes of urban hijack and murder would be largely the work of Musuraca. Even Musuraca seems to lose it in the open spaces of the Mexican desert where most of the subsequent action is played out. 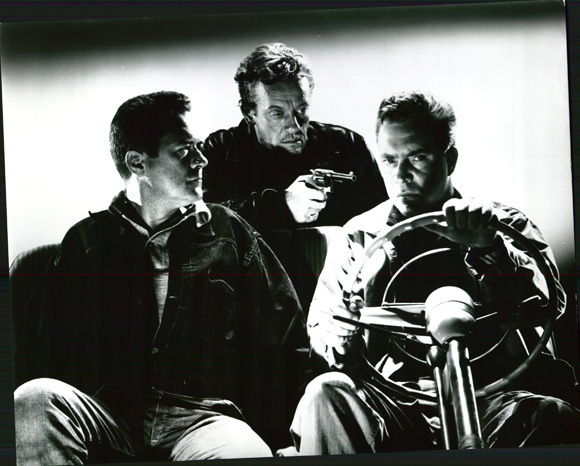 While star-billing is given to Edmond O’Brien and Frank Lovejoy as the hostages, they are constrained by their largely passive roles, it is William Talman, in a memorable portrayal as the psychotic killer, who holds the picture together. The desperado’s savage menace and barely contained hysteria is entirely convincing, and it is this for me that saves the movie from obscurity. Tony, I definitely agree with Talman’s performance holding the picture together. He personifies evil in this film. BTW, I just borrowed a book from the local library, a bio of Lupino. She was a a fasincinating woman and apparntly a strong enough personality on the set when directing. Thanks!! !